Salt Water Sandals — an American tradition for almost 70 years—have officially landed in Canada. 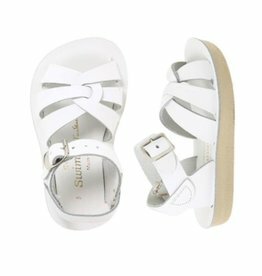 Lovingly crafted from the finest quality materials, Salt Water Sandals have remained a dependable summer staple, and will never fall out of fashion. With many styles and colours to choose from, you can be sure that there’s a pair for every outfit and special occasion. Salt Water is more than just a name; we invite you to wade into the ocean or throw your dirty sandals into the washing machine to see how quickly they dry and spring back into shape, ready for your next adventure. 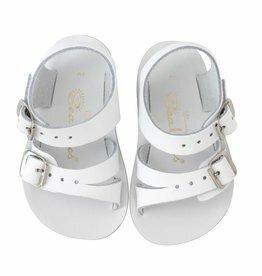 There is no substitute for the Original Salt Water Sandal, so be sure to look for the Salt Water logo. These can be worn right into the water! Salt Water Sandals for even the tiniest members of the family!